Because in order to understand viable alternatives, we need to know what it is we’re comparing. Space heaters do two things. They heat up a room, which in turn keeps people warm. Yes, the distinction is important because there are space heater alternatives we list that only heat up a person and not an entire room. Here’s our list of viable space heater alternatives. Some are more relevant than others, but all except one provide heat. A wall heater is pretty much a space heater except it’s attached to a wall. Some people consider space heaters as portable; that’s debatable. Anyway, we kick off our list of alternatives to space heaters with a wall-mounted heater. 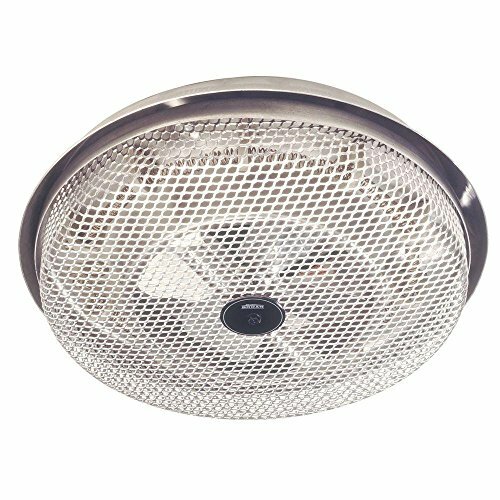 A ceiling heater really isn’t much different than a wall-mounted heater, but I’m including it because maybe the distinction is important to you. Again, one could qualify a ceiling-mounted heater as a space heater, but there’s a case to be made against it as well. 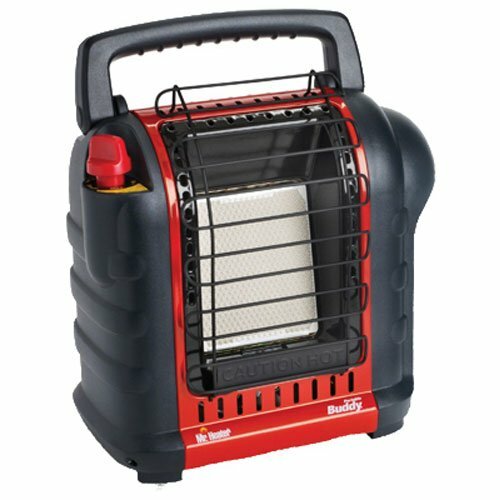 And yet another possible “space heater” product, but I list this as a substitute because it’s propane-powered instead of electricity powered. Again, the distinction may or may not be important to you. 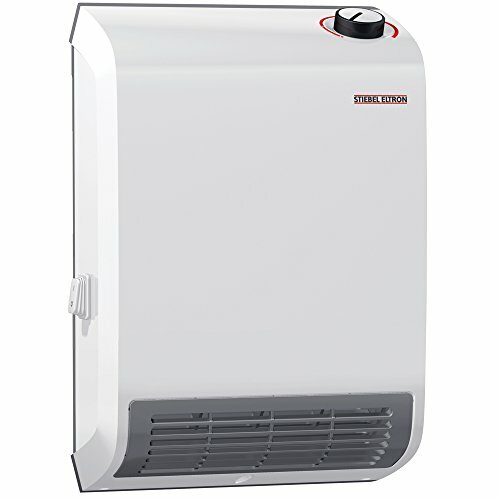 The photo above is an example of a Mr. Heater Buddy 4,000 to 9,000 BTU model which is super popular and well reviewed. It’s a great heating source if winter camping. Heated footrests can be used by people who are sitting down either at a desk or otherwise. They can come in a variety of shapes and sizes and are usually powered by an electrical cord plugged into an outlet. 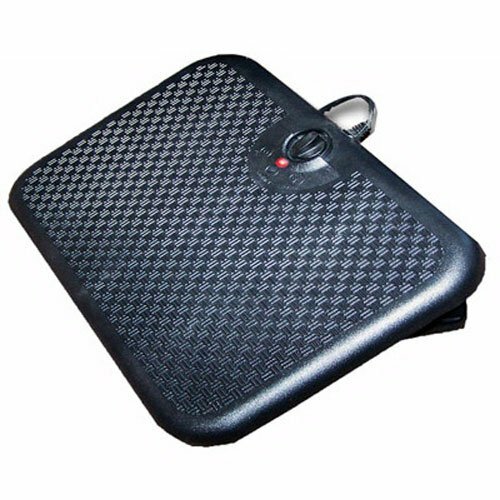 Not only do they keep the user’s feet warm, but they also help relieve back pain and discomfort. They can be used at the office, but only ones that are designed to be used while wearing shoes are suitable. For this, flat and rubber or plastic footrests are the more efficient option. Ones that have fabric are generally used without shoes and are considered the more luxury option. These are a great substitute for space heaters, especially if they are in the foyer or entryway of the home or building. 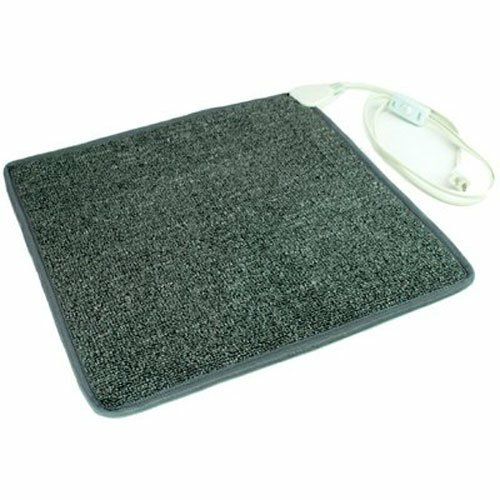 Best for winter, rainy days, or places where there is always rain or snow, heated rubber mats are ideal for drying off soaking wet shoes. They are commonly powered by an electrical cord and usually heat up to around 120 degrees an some get hotter than that. Some can even be used outside, in front of the door, though read through the product details to make sure if it can be. These are almost like space heaters, but the only difference is that they are mounted on a wall. Their sizes can vary but most are around 2 feet by 2 feet and are powered by an electric cable. Most are white or black, and some can even be painted any color to match the wall behind it, although a special type of paint may be needed. There are some flat panel heaters that can have a detachable stand for those who do not want, or can’t, use the wall mounts. 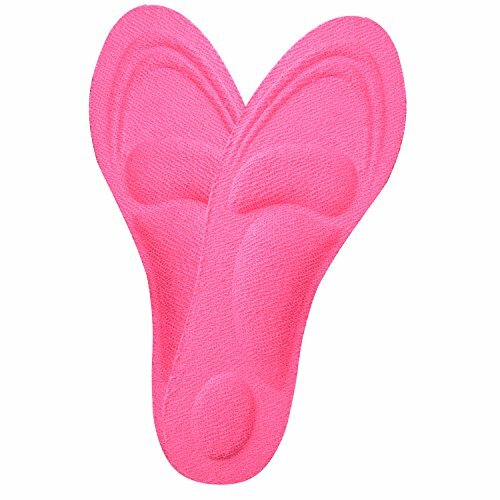 For people who get cold feet easily or spend much of their time outside in the winter and cooler months, heated shoe insoles are the best. They are usually powered by batteries, some of them rechargeable, but a few of them can be powered by warming chemicals. Unlike other electric warmers and heaters, many of these insoles are able to be washed in the machine or by hand, but always double check before throwing them in. 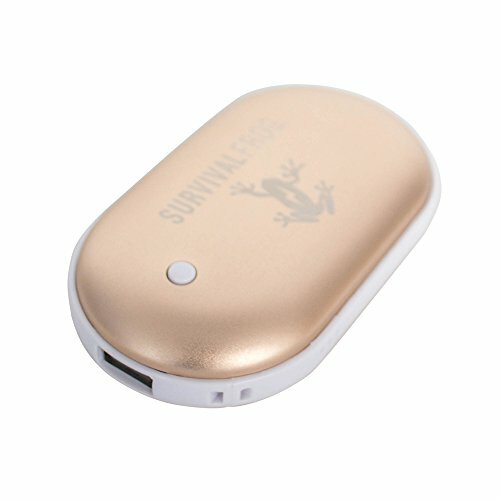 Some can even be controlled by an app through a Bluetooth connection. 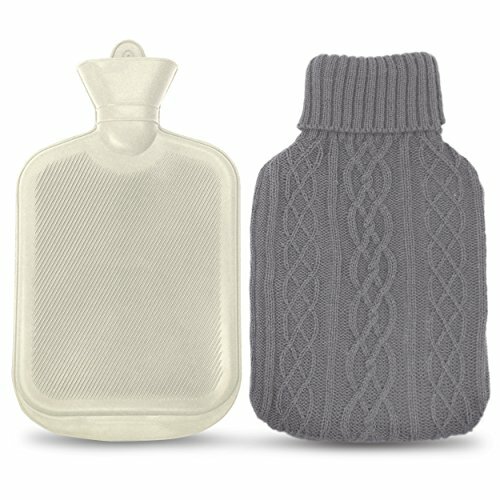 Using hot water bottles to stay warm has been a very common method for many years. Now, they are usually made of a rubber or silicon material and are almost always microwavable; this is so they can be easily heated up. Then, they are covered with a thin fabric sleeve that protects the user from possible burns and keeps the bottle warmer for longer. Using one or more of these by tucking them in pockets or holding them can help keep the user stay warm for an hour or more. These can vary greatly between each other, but they are very similar to the heated insoles and water bottle alternative. They can use batteries, rechargeable batteries, or a chemical reaction to heat them up, like the insoles. Like the water bottles, they do not last that long, an hour or more at the most. The difference between hand warmers and other alternatives is that some hand warmers, the ones that use chemical reactions, have to be boiled in water before they can be used again. 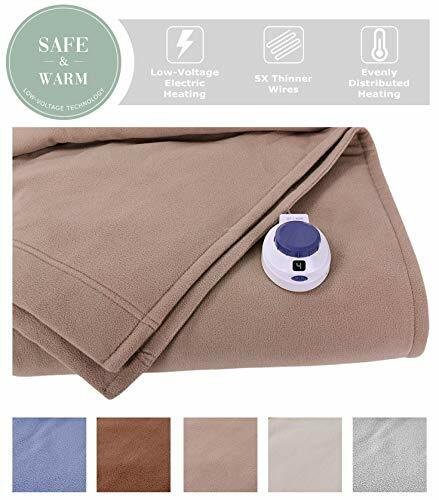 For at home use, electric blankets are possibly the best space heater alternatives out there. They can come in a variety of colors and materials and can come in twin, full, queen, and king sizes for beds. There are sizes that can fit a California king-sized bed, though they can be slightly harder to find depending on the material and the style. Ones that are simple usually just have an on/off switch and maybe a 1 to 3 temperature dial (low, medium, and high). Other more luxury ones can have a temperature knob that gives more control to the user. 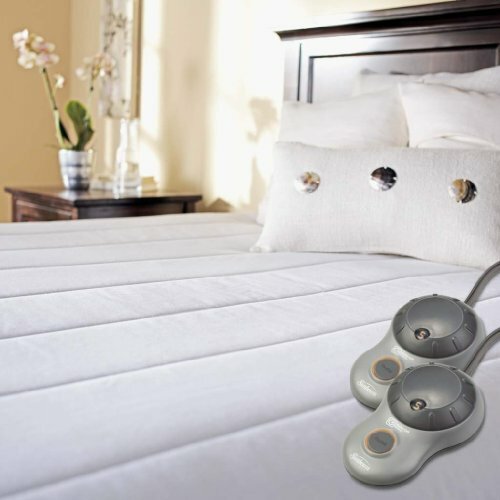 Nearly all electric blankets are powered by an electrical cable. I have to admit, I had no idea there was such a thing as a heated hoodie until I did research for this article. I’m seldom cold, but I think this is a brilliant solution for people often cold while other people aren’t cold. A space heater or other room heating appliance is great if you’re the only person there, but if you have a tendency to get cold while other people are fine, you don’t always want to heat the place up to a stifling temperature. 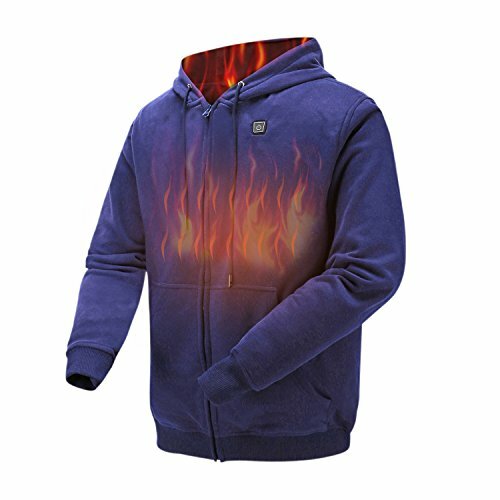 This heated hoodie along with other individual heating options listed here are terrific options. For people who want the most environmentally friendly alternative, wearing an extra layer of clothing or thicker clothes can cancel out the need for a space heater. Those who work in an office might want to consider wearing base layer clothing. These are usually cheap and designed to be worn over underwear and under the main articles of clothing, the pants, shirt, and socks. Thicker fabrics like wool (artificial for environmentalists), fleece, and velvet also the better choices for keeping warm in cooler rooms, especially in the winter. For those who are still cold or have poor circulation in the hands and ears, consider a stylish hat or pair of gloves that are made with the previously mentioned fabrics. I don’t get cold too often (although I am while writing this because I biked to work and went through a huge puddle that soaked my feet), but I do like the occasional heated foot bath. It’s great while watching TV or reading. I can assure you that it can help warm up your entire body. 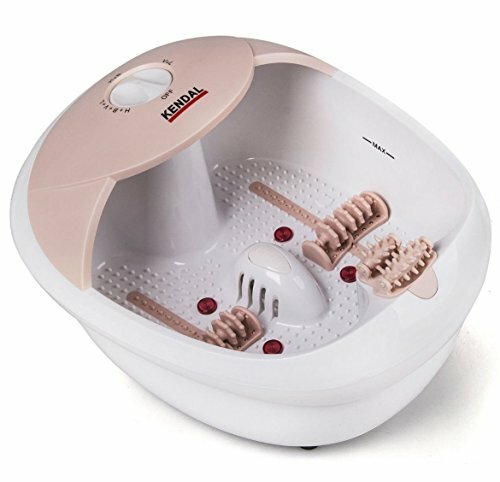 If you have a tendency to get cold and don’t want to heat up the entire room, a heated foot bath can do wonders. If you get cold while sleeping, a heated mattress pad might be a way better option than a space heater. This way your body directly heats up instead of the air around you. They aren’t that expensive either. 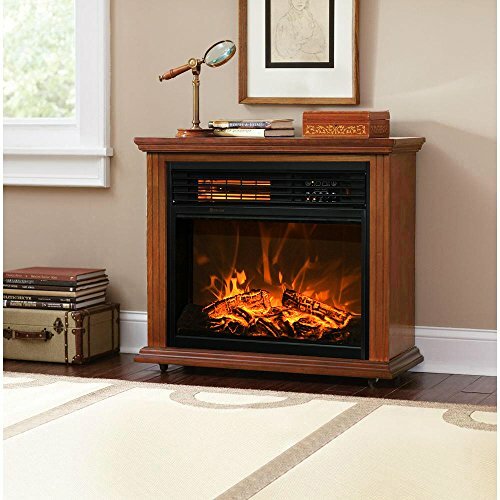 Yes, an electric fireplace with heater is much like a space heater, but it’s more. It’s a decorative piece that these days look pretty good. It’s a viable option for more heat and a cozier environment. Our last house had heated floors on the main floor. They were spectacular, although the house could get really hot very quickly. 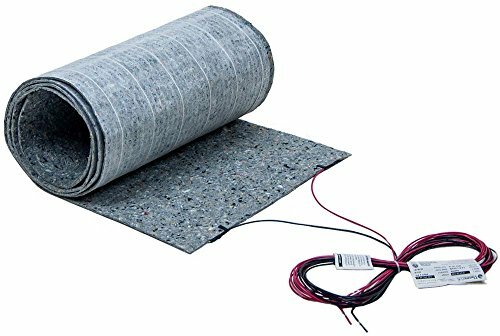 If you’re about to redo your flooring, consider using a product like this which is a heating mat for under laminate or hardwood flooring. Hear me out before you disregard a sauna as an alternative to a space heater. I know it doesn’t heat up a room, but I use a sauna two to five times per week so I know what I’m talking about. If you get cold, using a sauna raises your core temperature up and it stays up for hours. If you have a tendency for being cold, using a sauna regularly will definitely help keep your core temperature higher than it normally is. 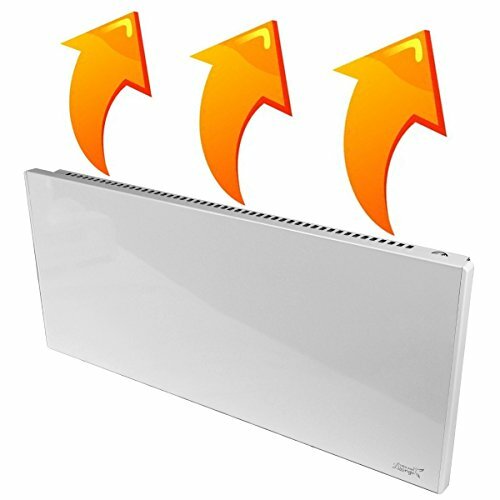 Many people use space heaters to counteract those one or two drafts that are in the room. Stopping the draft prevents the need for the space heater, creates better insulation in the room, and can often cost a fraction of the price that the space heater was. The most common cause for drafts are small gaps at the bottom of a door, and they are stopped by under-door draft stoppers and/or weather stripping. The stoppers and weather stripping are cheap and can come in a variety of sizes, colors, and shapes so they can look more appealing. They are simply slid underneath the door and remain there until they need to be washed. Weather stripping is also very simple to install by peeling back the paper strip and press the adhesive side onto the door or frame. Here are some examples on Amazon.